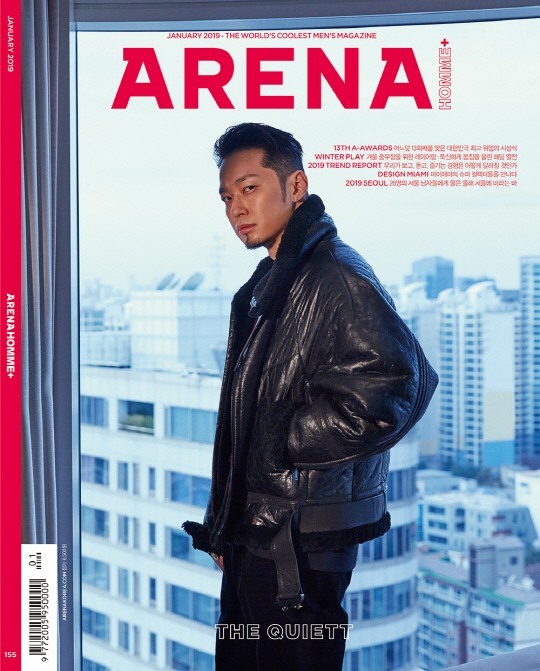 Arena Homme Plus will feature actors Song Seung-heon, Lee Jin-wook, boy band iKON and rapper The Quiett on the cover for its January issue. The men’s fashion magazine unveiled the star-studded lineup for the latest edition, including leading acts in the fields of both acting and music. Song strikes a dapper pose in what appears to be a hotel room with a shadow slightly cast across his face, complementing the overall atmosphere of the photo shoot. Lee opted for a suit, while The Quiett wore an oversized black leather jacket. 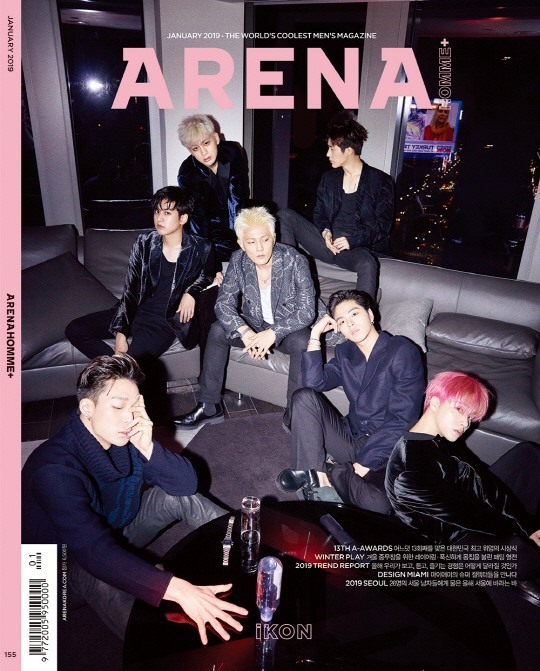 The bandmates of iKON cut a more casual figure as they posed individually in a more relaxed cover shot. Though magazines have pulled similar stunts in the past, it is rare to see four different sets of cover models for the same issue. The four share one thing in common -- they all won an award at this year’s A-awards ceremony, which was organized by the magazine.